Beginning in August 2014, the Community Service Council Internship Program launched a student driven expansion project targeted at matching rising health and human service university students with seasoned CSC leadership. Since then, dozens of students have been hosted throughout various programs at CSC, totaling thousands of hours of experience gained and service to our community provided by students. Supporting the workforce development for health and human service students, CSC hosts 25-30 students annually from academic institutions and the United States State Department. Through standardized placement procedures students are oriented to CSC through engagement with multiple programs, expert leaders, and off-site professional development opportunities. Many students are choosing to complete both Bachelors and Masters level internships with CSC, in their chosen fields of study. Even more are seeking employment within the organization after graduation. For an internship application, please email Carol Collins. 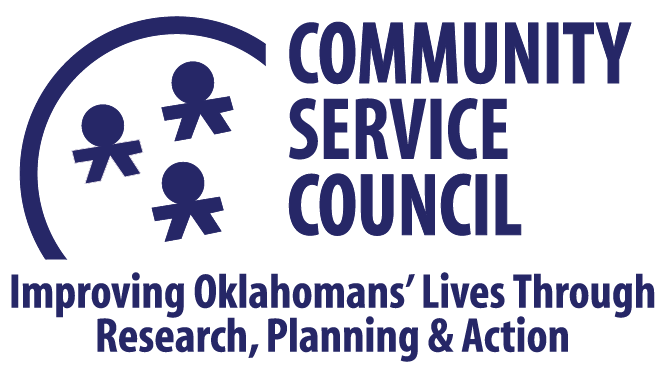 At CSC, more than 30 programs, within six core divisions, focus on improving Oklahomans’ lives through research, planning and action.